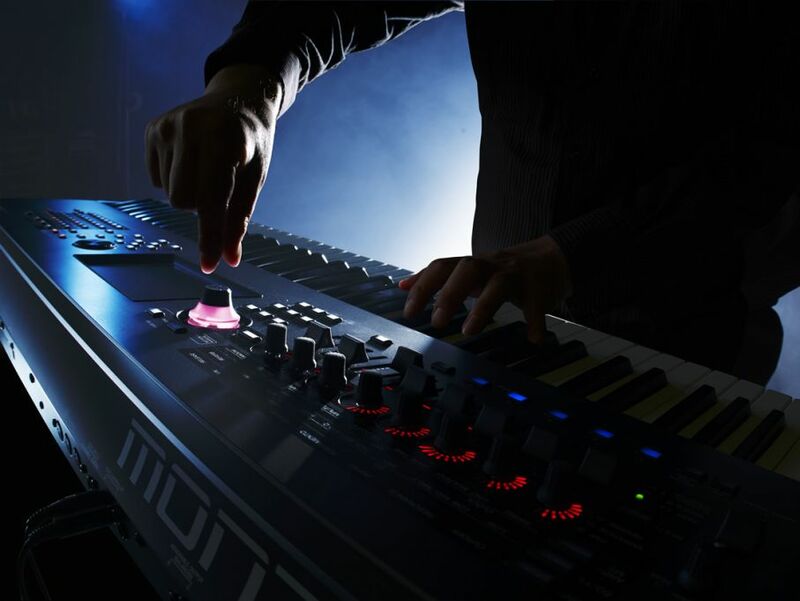 Hopefully in reading the prior articles (see links at bottom of article), watching the videos, and taking the time tweaking around with the tutorial Performances, you have gotten familiar with the core building blocks of the FM-X synthesis engine and Motion Control. With this article, I’m going to do a deep dive into Motion Sequences. In addition to explaining some specific tutorial example Performances, I will also deconstruct some finished Performances to show how it was all put together in practical sound design. There are 14 native Controllers on the MONTAGE itself – eight Knobs, two Switches, Ribbon, Aftertouch, Pitch Bend and Mod Wheel. There’s the ‘master’ Performance Motion Sequence for the SuperKnob with up to eight variations. Then there are the four Motion Sequence Lanes per Part, each having up to eight variations. Those are all routed within each FM-X Part -up to 16 Control destinations, which can each be assigned to 29 synthesis parameters within FM-X synthesis engine. Then you can have up to 16 Parts within a Performance that can be layered or split into keyboard zones and/or velocity ranges. Questions/comments about this article? Join the conversation on the Forum here. Ready to move forward? More about FM-X, Motion Sequences and Arps in the next article here!